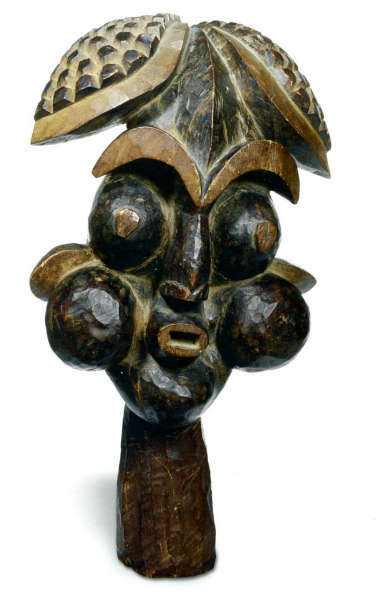 Fairly unknown, the World Bank has a small collection of African art. 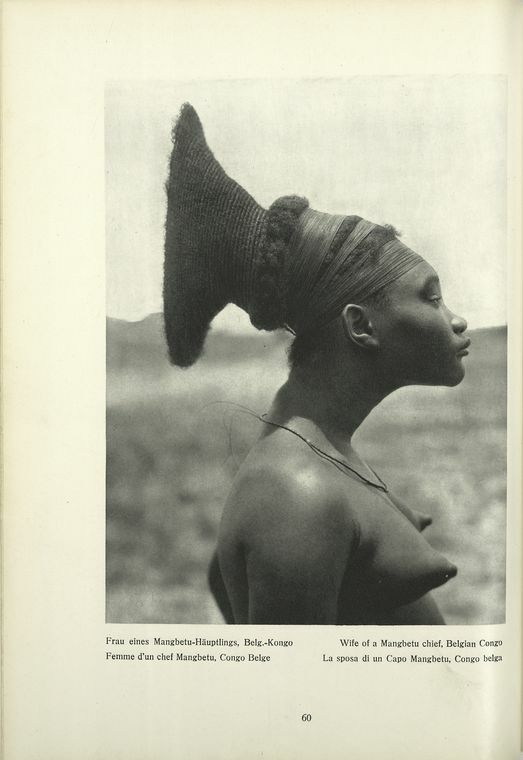 Under the instigation of Philip Ravenhill, chief curator of the National Museum of African art at the time, they published a catalogue featuring pieces from their collection in 1998; it’s freely available here via Google Books. This entry was posted in Publications on July 29, 2014 by admin. Thanks to the efforts of the New York Public Library, you can now browse Hugo Bernatzik‘s The Dark Continent (published in 1931) online here. It features tons of beautiful field-photos; above a Bandjom chief in North West Cameroon, below the wife of a Mangbetu chief. This entry was posted in Publications, Research and tagged Field-photo on July 26, 2014 by admin. Dreaming about my next holiday, I reminded I still had to post some pictures of my previous field-trip. 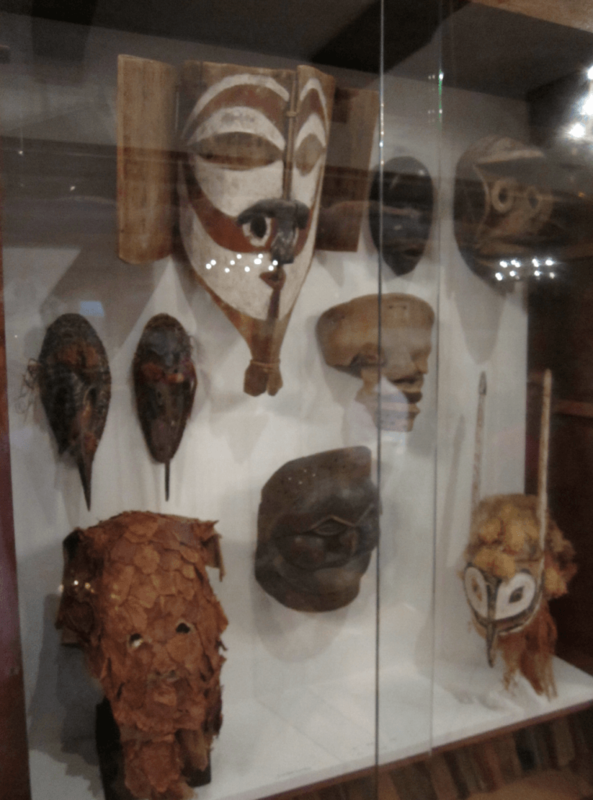 I had already discussed the African art on view at the Boulogne-sur-Mer Museum (here), but still had to show their incredible ensemble of Alutiiq masks from the Kodiak archipelago. They were collected during the winter of 1872-1873 by the then 20 year old French anthropologist Alphonse Pinart. 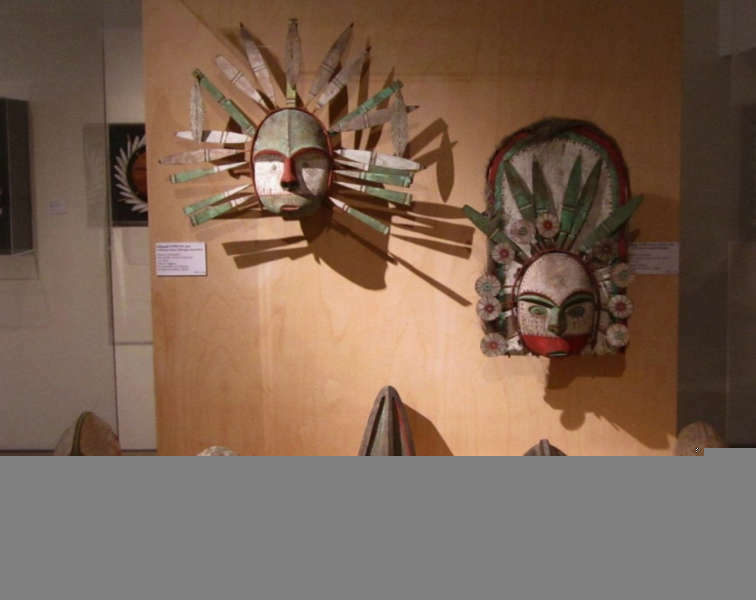 He traveled the Kodiak archipelago by kayak, assembling the largest set of traditionally crafted Alutiiq ceremonial masks in the world; 87 in total. Pinart recognized both the artistic and cultural value of these unique pieces, collecting the names and songs associated with many. 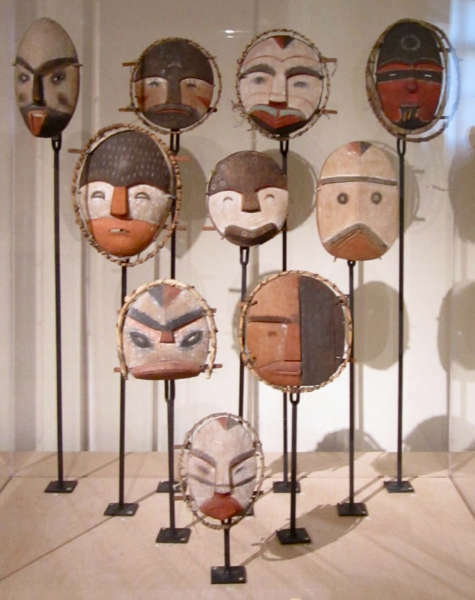 When he died in 1911, Pinart bequeathed the masks to the Boulogne-sur-Mer Museum. You can discover 65 masks more in detail here. 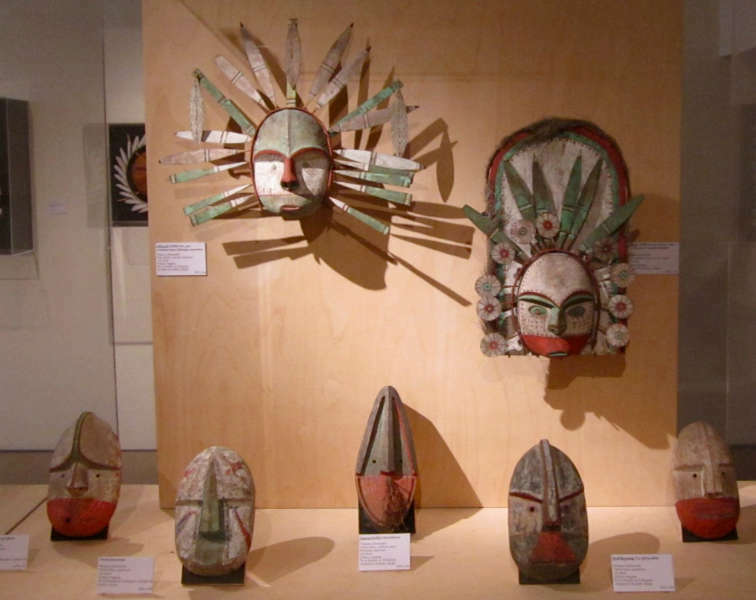 In 2008, the Alutiiq Museum and the Boulogne-sur-Mer Museum partnered to create an exhibition of 34 masks from Pinart’s Kodiak collection. 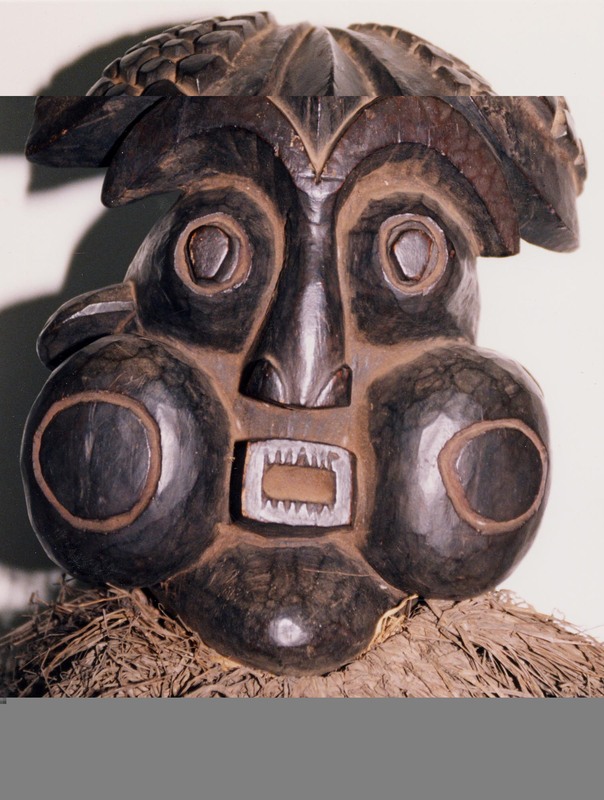 After 136 years, the masks returned to Alaska for nine months, visiting Kodiak and then Anchorage. An online presentation of that exhibition can be found here. Trivia of the day: the crystal skull at the Musée du quai Branly once was owned by Pinart (info) ! 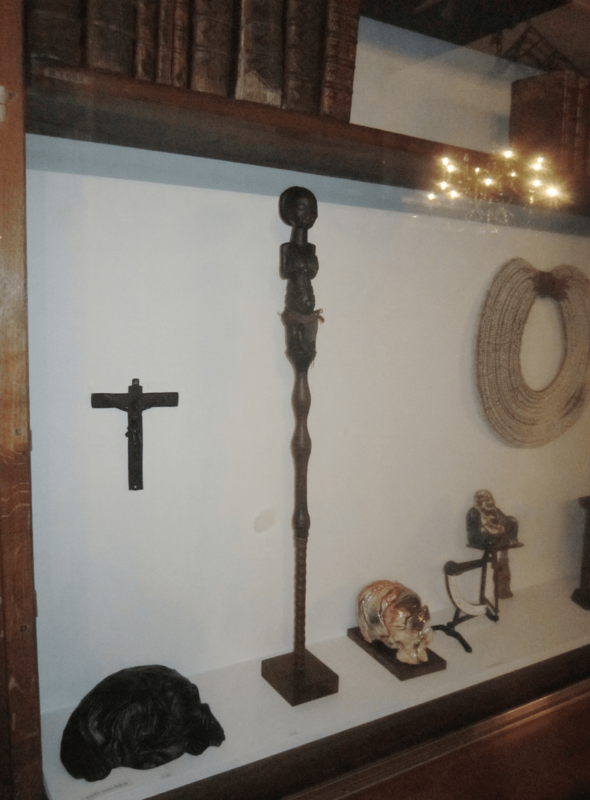 This entry was posted in Museums, Objects on July 24, 2014 by admin. 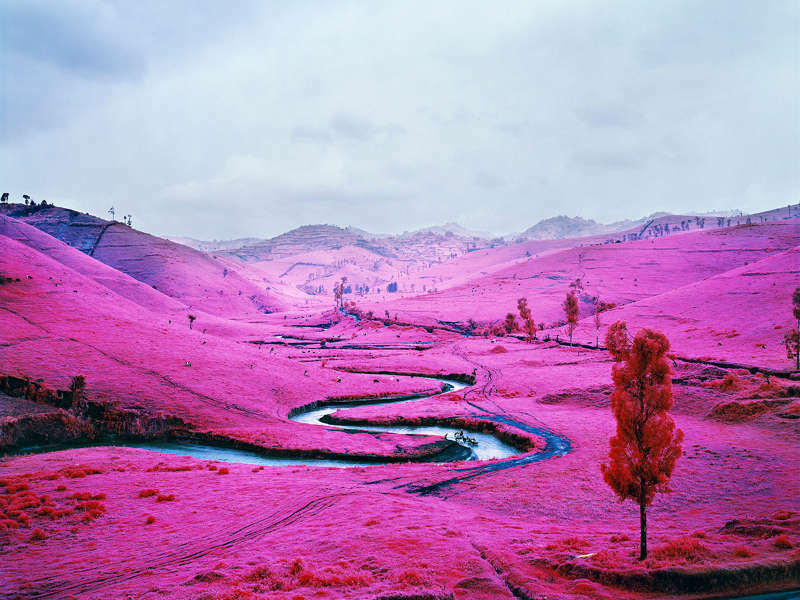 Antwerp’s Photo Museum is currently showing one of the highlights of last year’s Venice Biennale: The Enclave by Richard Mosse. 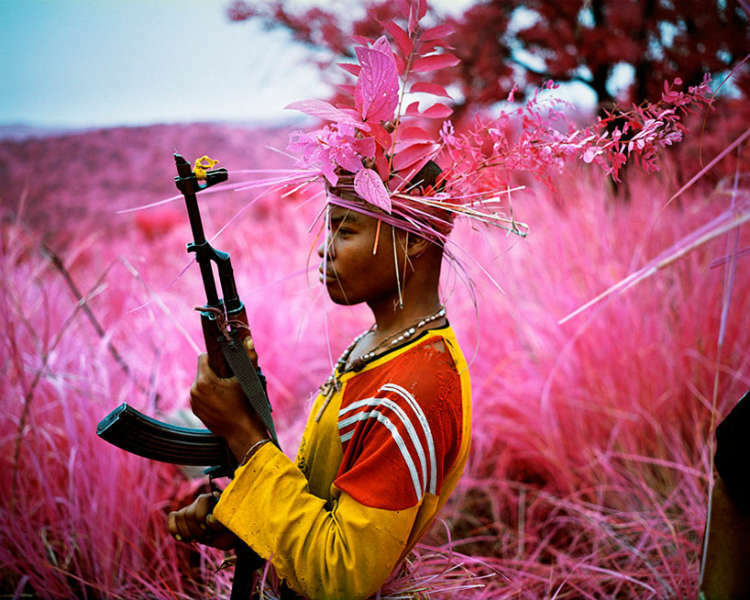 This multimedia installation documents armed rebel groups in eastern Democratic Republic of Congo and was shot entirely using a discontinued 16mm surveillance film that registers an invisible spectrum of infrared light. Originally used by the U.S. military in the 1940s for camouflage detection, it renders the most lurid jungle war zone in a pink palette that is both gorgeous and surreal. It sheds a very special light on a conflict and region that unfortunately has remained largely unseen. The piece comprises six large screens with twelve point surround sound, creating a layered and kaleidoscopic experience, highly aestheticized yet firmly grounded in harsh reality. It is a looping, non-linear narrative which documents civilians fleeing massacre, Mai Mai militia preparing for battle (in a rather ‘tribal’ manner), as well as M23 rebels moving on, fighting for, and finally taking the city of Goma. This humanitarian disaster unfolds in a landscape of extraordinary beauty, on the shores of Lake Kivu. This entry was posted in Exhibtions on July 21, 2014 by admin. Something for the locals. Curated by Frank Herreman and artist Tom Liekens, Ghent University is currently presenting the most curious objects from their holdings distributed among its many museums. 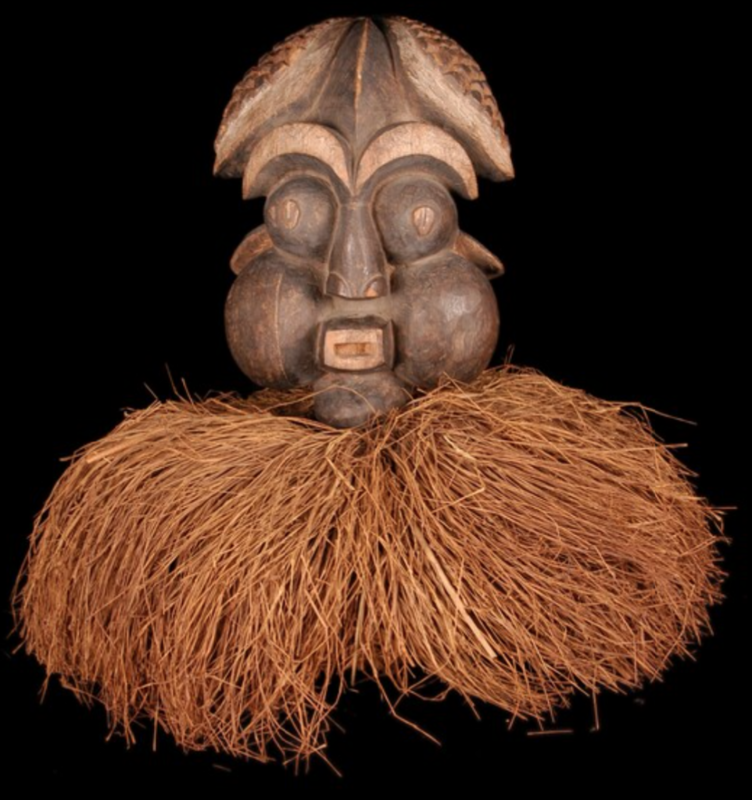 One of them (the Ethnographic collections) has a lot of African and Oceanic art, so there are some ‘exotic’ objects mixed in too. 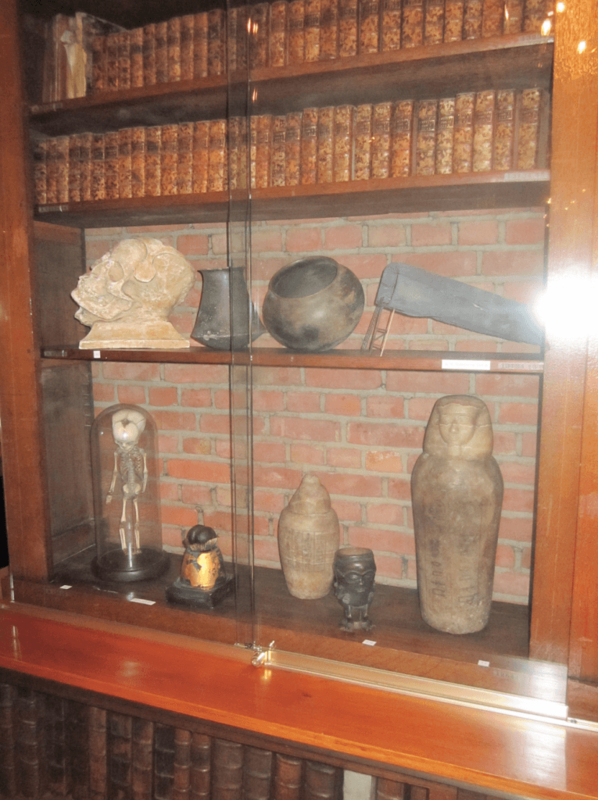 Inspired by the historical Wunderkammer , there’s a very wide scope of objects and all are categories are presented mixed-up. More than 50 contemporary art works have successfully been blended in. The lack of any labeling makes visiting this exhibition an intriguing experience. If you are in the neighborhood, definitely a must-visit. 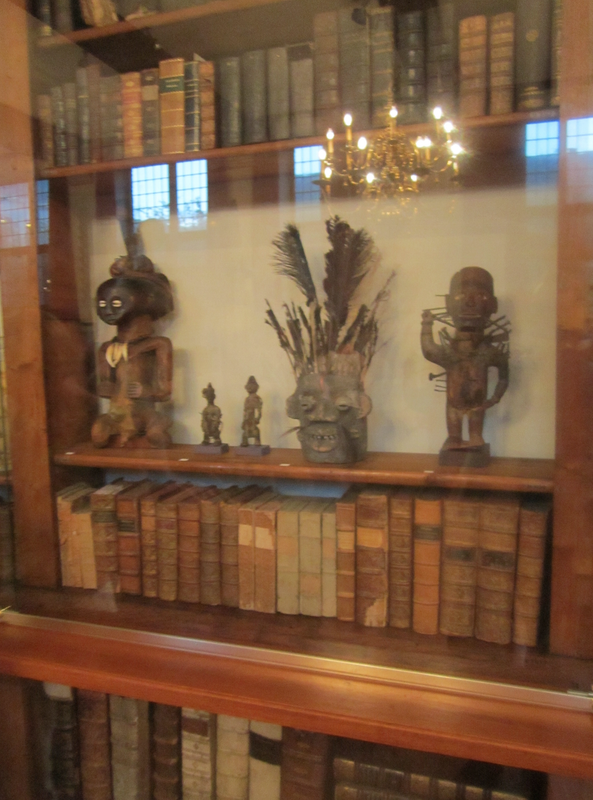 The exhibition is located in a beautiful 17th century Dominican library (Het Pand, Onderbergen 1, Gent) and is open daily (11AM-6PM), from 16 until 27 July and in the weekends of 2-3, 9-10 and 15-17 August. More info here. This entry was posted in Exhibtions, News on July 20, 2014 by admin. ‘Katompe’ – Fernand Allard l’Olivier. Oil on canvast, 80 x 100 cm. Image by Ferry Herrebrugh, courtesy of Galerie Raf Van Severen, Antwerp. A couple of years ago, when I was working for a local art-event, I was pleased to discover the above painting at one of the participants. It was made by Fernand Allard l’Olivier (Tournai, 1883-Yanongé, Belgian Congo 1933), one of the most important Belgian Africanists (the artists, not the scholars in this case). 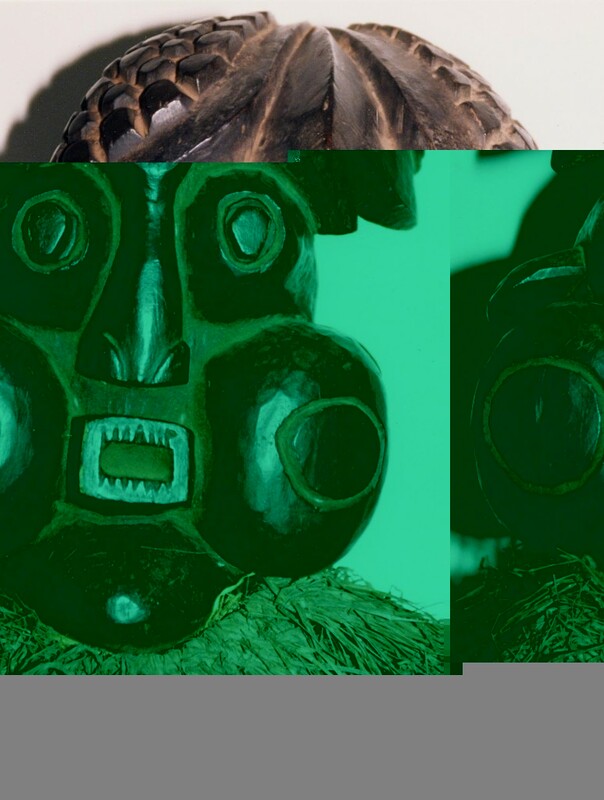 It features a pair of Songye kifwebe masks, accompanied by multiple musicians and dancers. Curiously enough women are present during the depicted masquerade – perhaps an addition by the painter to fill the canvas? Anyhow, the detail in which the scene is depicted is remarkable – check those costumes! Painted between 1928 and 1933, it is a very early in-situ recording of these mask’s existence. 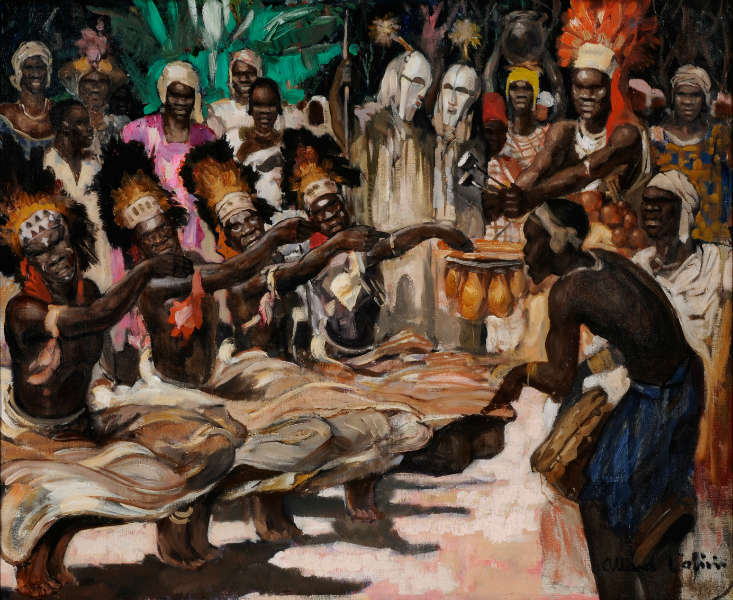 In 1928 Allard l’Olivier made his first trip to what was then the Belgian Congo where he made copious sketches and drawings – scenes of daily life, dancers, musicians, rituals and so on. Allard l’Olivier’s second mission to Congo was also his last, brought to a tragic end when he drowned in the River Congo. The Institute of Tropical Medicine in Antwerp has some of his monumental paintings, and his works hang in the museums of Tournai and Tervuren as well. This entry was posted in Research and tagged Songye on July 19, 2014 by admin. The German Günther Tessmann was one of the first to seriously study the Fang, resulting in his magnus opus Die Pangwe from 1913. Although he was not a trained anthropologist, he nevertheless may be considered one of the pioneers of ethnographic field research. The Museum of Lübeck recently has digitalized his handwritten memoirs. You can read them here – especially band 2 and 3 are of interest; they are of course written in German. More bands are following later this year, read more about the project here. All the objects that Tessmann donated to the Ethnological Collections of the City of Lübeck unfortunately still aren’t available online. Günter Tessmann was born in Lübeck in 1884. After finishing school he did an apprenticeship on tropical gardening at the colonial school in Witzenhausen. Eventually Tessman went to Cameron and Spanish-Guinea (now: Equatorial Guinea), where he did botanical and zoological research. Moreover, Tessman developed a growing interest in Anthropology and began to collect ethnographic material and data. 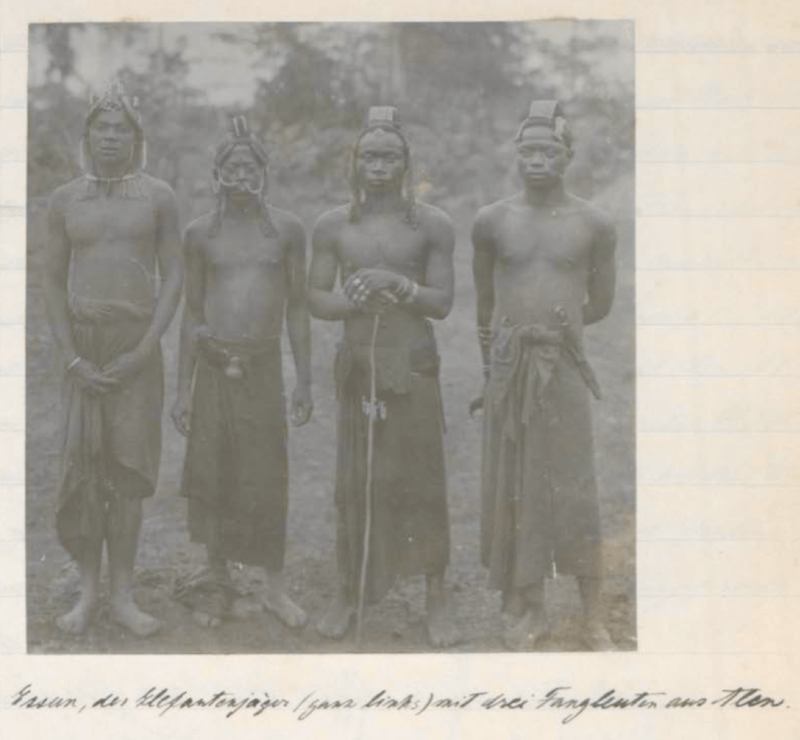 Between 1907 and 1909 Tessman conducted field research in Cameron and Spanish-Guinea on behalf of his hometown Lübeck, to which he donated his complete ethnographic collection (now: Ethnological Collection of the City of Lübeck). 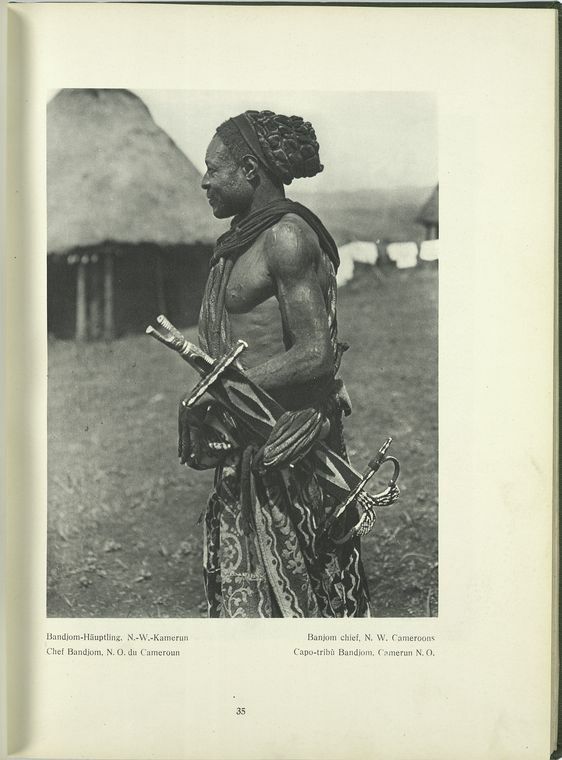 Tessmann furthermore published a two-volume monograph on the Pangwe (Fang) people in 1913, including many aspects of their culture, history, religion and arts. Due to the success of his work, he started another field research the same year, this time in Eastern Cameron on behalf of the German Colonial Department. Due to the difficult circumstances during World War I Tessmann had to interrupt his field work several times. After 1918 he more and more shifted his focus on South America. Between 1921 and 1926 he did a number of researches on the ethnic groups in Peru. After his return to Germany completed his doctorate in 1928. In 1923 Tessman had published another monograph, this time on the Bubi people. This publications was followed by his work on the different people and languages of Cameron in 1932, his monograph on the Bafia in 1934 and his two-volume monograph on the Baja people in 1934/37. Tessmann´s intense long term stationary field work was at high standard for his time. After the Nazi regime banned him from teaching at the university in Halle, Tessmann migrated to Brazil in 1936. There he worked as a botanist at the Museu Paranaense and the Instituto de Biologia in Curitiba. Tessmann retired in 1958. Günter Tessmann died in Curibita in 1969. UPDATE: a reader informed me that while Tessmann’s Pangwe book sells for more than € 1,000 these days, one can buy a fascimile for € 146 here (vol. 1) & here (vol. 2). This entry was posted in Research and tagged Fang on July 17, 2014 by admin. 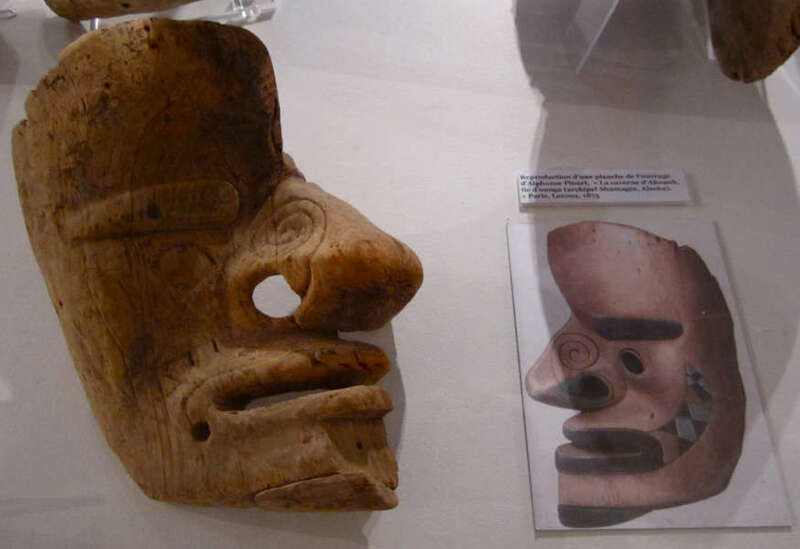 Caveat emptor: a Pende mask from Picasso’s collection ? UPDATE: pictures removed on request of involved party. EDIT: I was forced to remove my personal opinion, but you can read the story (with pictures) here (in German, but you can use Google Translate). UPDATE: for the German court’s decision, click here. This entry was posted in News and tagged Pende on July 11, 2014 by admin.